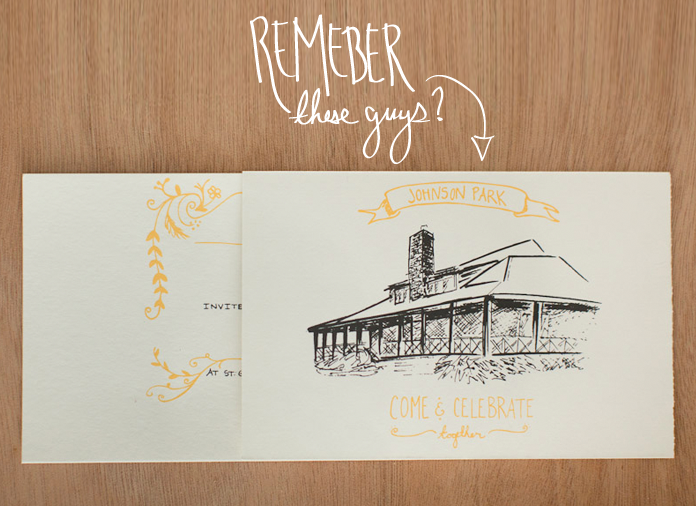 Remember these hand sketched invites I designed for Bryan and Mae’s wedding in September? Well we got them printed by Mama’s Sauce and sent out and they wrote up a sweet little note about them over at their blog. Head over and check it out! Happy Tuesday!